The most obvious place to begin any real discussion of water is in pointing out that right now on planet earth, water in its potable form is about the most abundant resource there is. No one even passingly acquainted with the subject seriously disputes this. 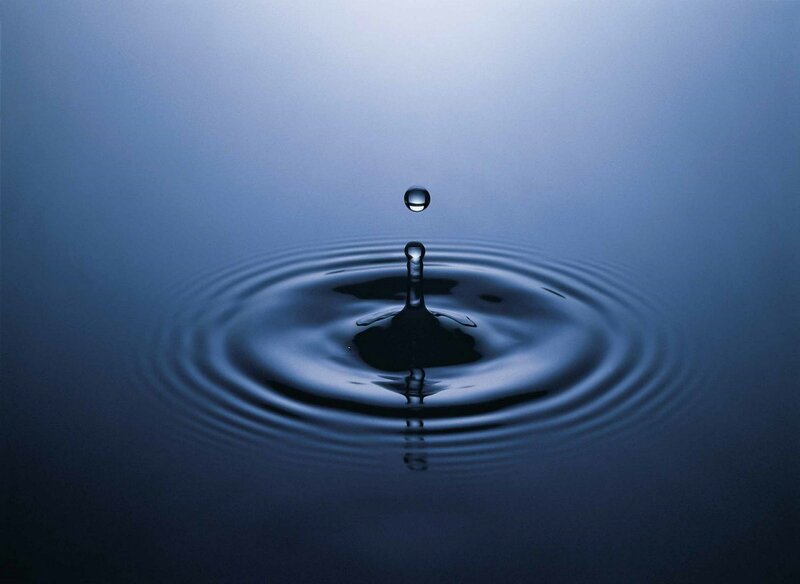 In the words of water specialist Fredrik Segerfeldt: “Water is a finite resource. In principle, though, the supply of water is so great as to be infinite for all human purposes” (Water For Sale, 2005, p. 13). The UN adds: “Water is a renewable resource [and thus] can be used over and over again” (Water for People, Water for Life: The United Nations World Water Development Report, 2002). Among even slightly less liberal hydrologists, however, this 8 percent figure is regarded as high. Two-thirds of the earth is water. The vast majority of that is either salt water or frozen water. Salt water evaporates and comes back to the earth in the form of fresh water. The amount of water on the planet is static. Which means: all the water that exists on earth has, for the most part, always existed on earth. The amount remains essentially the same because water recycles itself through evaporation and precipitation. Currently, two and a half million liters of water are available each year for every man, woman, and child on the planet. This translates to about 19,000 liters per day, per person, which is an astronomically large amount, certainly far more water than any one person could consume in an entire month, let alone one day. Water can be desalinated (i.e. converted from salt water into fresh water) relatively easily and inexpensively. Even in the midst of such overwhelming abundance, there is a water crisis in the world. Why is it cheaper than it should be? In a phrase, government subsidies. As a result, we find ourselves ceaselessly subject to the mantra-like chanting of enviros: “Conserve water, use less water, put bricks in your toilets, don’t flush, take shorter showers (if you must shower at all), use 5 gallons less per day.” Et cetera. Let us examine briefly how effective these conservation measures really are — and how necessary. To begin with, it should be noted that far and away the majority of water used is not used for direct consumption, nor for bathing, toilet flushing, or watering the lawn, all of which constitute only a tiny fraction. Rather, the vast majority of water is used for agriculture. Thus, since crops require X amount of water to grow and flourish, the conservation measures that are espoused by enviros add up to such an insignificant amount of water saved that it might as well be flushed down the toilet. Enviros have many responses to such statements, but having listened to them all for decades now, I assure you that they all stem from the exact same principle: an utter unwillingness to believe that the entire ecological philosophy is predicated upon, and propagated by means of, an ideology whose every major premise is fraudulent. Fully 80 to 90 percent of water, then, is used in agriculture. That is the reason water used in agriculture is so sensitive to price. The reason there are cases of absolute shortage and rationing is that price is not allowed to respond to market conditions, but rather is fixed at a low subsidized price in many agricultural areas. For example, farmers near Fresno, California pay $17 for an acre-foot of water, while according to the U.S. General Accounting Office the ‘full cost’ is $42 a foot. In some areas in California farmers pay $5 per acre-foot, whereas the Los Angles water authorities pay $500 per acre-foot. Such subsidies encourage farmers to plant crops that use water heavily, which diverts water from urban areas…. Water economists are agreed that if governments stop subsidizing water to farmers, and allow water to be bought and sold freely, water shortages would no longer appear. But bureaucratic government restrictions often prevent those who have rights to more water than they need from selling their water rights to those who are willing to pay for the water; the bureaucrats fight tooth and nail to protect their own powers, and the results are amazing stories of governmentally caused inefficiency and true scarcity leading to [government supervised] rationing (Julian Simon, The Ultimate Resource 2, p. 153). The environmental solution — which, tacitly or explicitly, the rightwing has also at least partially accepted — is this: create more laws to prevent new infrastructures from being developed, which infrastructures also transport water from places where there is too much water to places where there is too little. Instead, let us institute coercive conservation measures that ultimately add up to too little water to make a noticeable difference. The forgotten factor in this is the private sector — forgotten because, according to both rightwing and left, lobbyists, pressure groups, and bureaucrats alike are all better suited to run our lives and the life of the economy than the individuals who make up that society and that society’s economy. 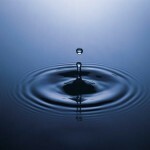 With regard to water, though, what is finally the point? Profligacy and wanton waste? Coercive conservation laws to better “preserve” miniscule amounts of water, which in actuality is a stupendously abundant resource? The point is to let the law of supply and demand work. To objectify this, take a quick look at the present-day history of Macao, China, starting in about 1985, when authorities signed a concession contract with a private water industry. The results: the greatest leap in quantity and quality of water in all of Asia. Then take a look at the massive $3.4 billion water projects planned by the massive left-wing Peruvian government in 1993, which ended it total failure and waste. The Bolivian example — which Fredrik Segerfeldt also discusses in his book — often used by interventionists to show how privatization putatively doesn’t work, reveals in fact the opposite, and highlights also the nature of crony capitalism: specifically, the then-mayor of Cochabamba wouldn’t allow the city’s water supply to be privatized until a dam was included in the (sweetheart) deal, and his friends were thus put in charge of building that dam. The failure of the Cochabamba water infrastructure can in large part be blamed on that very dam, but even more damning than that are the bureaucrats who don’t enforce laws on public water managers. [After Chile] introduced private ownership of water in the 1980s, water supply has grown faster than in any other country. Thirty years ago, only 27 percent of Chileans in rural areas and 63 percent of urban communities had steady access to safe water. Today’s figures are 94 and 99 percent, respectively — the highest for all the world’s medium-income countries” (Water For Sale, p. 31). Or the Mahaweli Development Program in Sri Lanka that took “44 percent of all public investment,” the costs of which “rose so high as to make the new farmland hugely expensive, forcing government to then subsidize the land,” and which in turn “created severe social tensions, because the money for the subsidies had to be taken from other items of expenditure, and because those allotted lands were considered to have obtained unfair advantages” (Fredrik Segerfeldt, Water For Sale, p. 20). Or take a look at Ethiopia’s titanic bureaucratic nightmare called the Water Management Program in the 1990’s, where “eight different authorities were involved … resulting in much unnecessary duplication and heavy wastage … Added to which large parts of the country were still left out of the water and sewerage networks” (Ibid, p 21). This is the sort of gross ineptitude — inherent, almost by definition, to governmental bureaucracy of any kind — that your rightwing and leftwing brothers and sisters have so much confidence in, and in turn would have you place all your confidences in. Not for the thing most vital to life: H2O. There was an alarming fact on Skeptics’ Guide to the Universe last year. I do not think twice about my water usage. The estimated water withdrawal in 2005, according to the USGS, was 410 billion gallons per day. Whereas withdrawal for the public supply was 44.2Bgal/day. Didn’t know that, Greg. Thank you.